Hall Road Rangers FC Soccer School takes place every Saturday from 24th February. The sessions are open to boys and girls from the ages of 5-8 years. 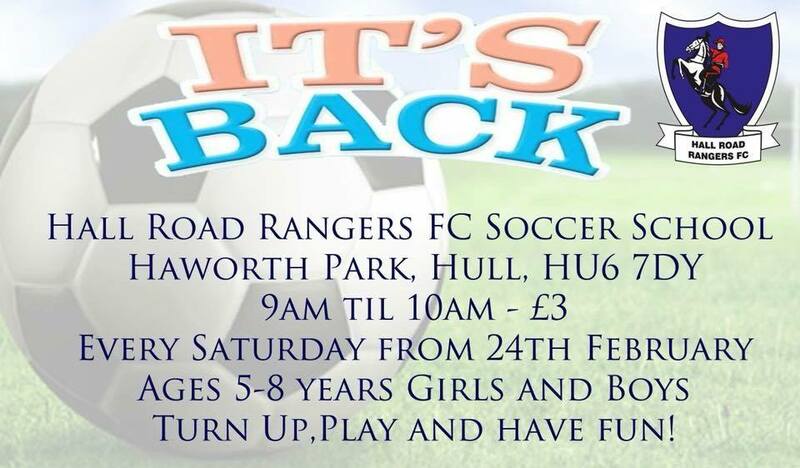 They take place every Saturday morning from 9am until 10am and held at the Hall Road Rangers ground which is located on Haworth Park, Off Beverley High Road, Hull HU6 7DY. The sessions cost just £3 per player.